The 100% open source WordPress has attracted a huge developer following, pushing the blogging platform far beyond it’s original capabilities. Plugins are a great way to add functionality to your blog, but with over 6000 available from the WordPress website where do you start? We have listed our favourite 10 useful WordPress plugins, they help to turn your blog/website into an all singing, all dancing online experience. Have we missed one you think is essential? Let us know! There are many WordPress picture gallery plugins out there but this is our favourite. Organise your photos in to albums to be included in posts, pages or in your template. Use jQuery lightbox effects and flash slideshows, apply CSS picture frame effects and much more. 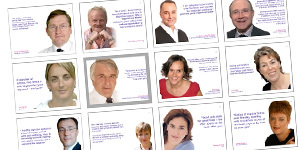 The picture above is of a gallery we built for the Love Your Gut website. 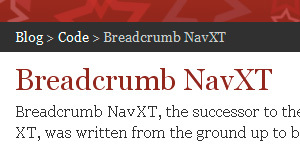 Navigation can get confusing in a large multi layered website, “breadcrumb trails” are an excellent way of letting visitors know exactly where they are within the structure of a site. This handy little plugin offers an easy way of generating one within WordPress. Install and drop the supplied code into your theme and you’re away! Encourage a sense of community on your WordPress blog / website by adding this fully featured forum software. Not strictly speaking a plugin but it’s too good not to include. The software is fully customisable and can even be expanded with its own set of plugins. 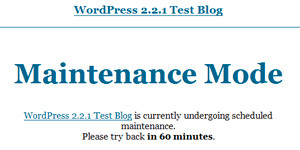 If it’s good enough for the official WordPress support forums then it’s good enough for me! This amazing plugin lets you turn your WordPress blog into a fully featured eCommerce shopping site. 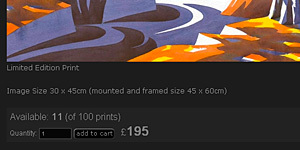 Display your products using one of the supplied themes , or work it into a custom design like we did for the artist MJ Forster, you can even offer downloadable products. Calculate shipping costs with custom shipping tables and rake in the dosh with one of the supported payment processing solutions. A huge set of video tools for your WordPress blog, powered by the Kaltura open source video platform. Not only can you upload, record and edit video to embed in your posts, but you can also embed rich media from many other sites and social networks. Add forms to your WordPress blog with this immensely powerful plugin. Loads more features than any other form plugin we’ve seen including support for multi-page forms, ajax, tell-a-friend functionality, data collection, captcha spam protection, customisable error and confirmation messages… We could go on and on. 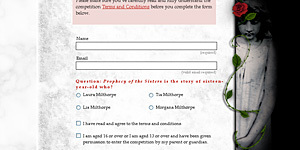 We have used this essential plugin on every WordPress site we’ve built, most recently for the competition entry form on the Prophecy of the Sisters website we made for the author Michelle Zink. Not the first plugin that allows you to add a list of related articles to your posts, but few have nearly as many options as this. Choose the number of posts to display and whether to include an excerpt. Tweak the criteria used to select the related posts, exclude certain categories and order the results. Making changes to your WordPress site and don’t want the in progress to be seen by visitors? With this plugin you can present visitors with a fully customisable “come back later” screen while you can carry on viewing the site as long as you are logged in. 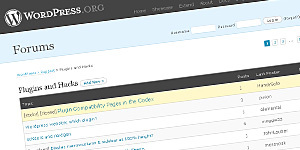 Exceptions can be added for pages you still want to be visible to visitors. We regularly use this plugin to hide WordPress powered sites while we are building them. Short and sweet, add those funky little social bookmark link icons to the bottom of your posts. Does exactly what it says on the tin! 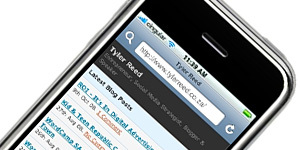 Reach more potential visitors by offering a mobile version of your blog. This nifty plugin serves a simplified version of your site to mobile browsers for better user experience. You can even make customised WordPress themes that will only be used on mobile devices. 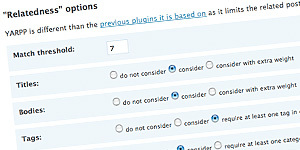 Brilliant list of plugins – will defo be using some on my wordpress sites. Great stuff Richard. Keep your eyes open for our second plugin list coming soon, it will feature more technical plugins for those willing to get their hands dirty with a little code. Feel free to pop your head through the door and say hello if you’re passing. And do keep us in mind if you hear of anyone looking for affordable desk space in the area. Cool Great!!! Nice !!! Thanks.